Trivandrum, 7 June 2012: Chief Minister Oommen Chandy laid the foundation stone for the new headquarters building of C-DIT at Pattom. The work of the building is expected to be completed within 8 months, said the Chief Minister. 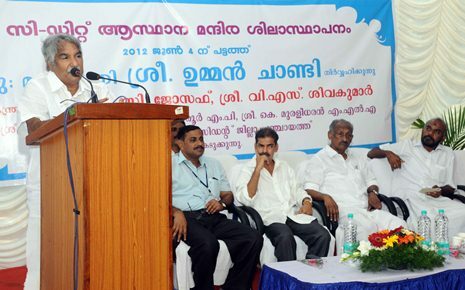 CM said that C-DIT can render support to the Government in speeding up the activities of e- governance. Ministers K C Joseph, V S Sivakumar, C-DIT Registratr S A Shajahan, Director Babu Gopalakrishnan and others were also present.